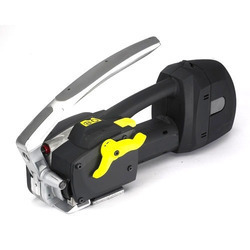 We are the reputed manufacturer, supplier and trader of Pet Strapping Tools consisting Manual Tensioners, Battery Operated Tools, Pneumatic Tools and so on. These tools are renowned for their dimensionally accurate body and excellent quality. Owing to our dedicated industry professionals, we are involved in the offering Battery Operated Tools to our beloved clients. One could easily deduce from their name that these tools could be operated by using the battery. The battery used in these tools has excellent back up and is resistant to the effects of moisture and harsh temperature. Besides, these battery operated tools are rigorously tested for their quality by our qualified quality inspectors. Backed by our rich industry experience and our expertise, we are producing Manual Tensioners for our beloved clients. These manual tensioners are based on the latest technology and give high output by consuming least amount of power. These manual tensioners are upto the international standards of quality and are available in the excellent technical specifications. 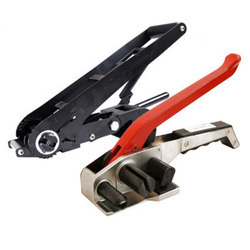 Likewise, these manual tensioners are coated with an anti-resistant material. Looking for Pet Strapping Tools ?